Below are the APN settings for Straight Talk Wireless. The APN settings for Straight Talk’s AT&T Network are below. Enter these values into the APN section of your phone’s Settings app. Note that field names will be different on iPhone, Android, and Windows phones. Straight Talk changes the APN settings periodically when they update their network. Sometimes the older APN settings continue to work. Sometimes they stop working. Below are some of the values they used in the past. The APN settings for Straight Talk’s Verizon Network are below. Enter these values into the APN section of your phone’s Settings app. Note that field names will be different on iPhone, Android, and Windows phones. The APN settings for Straight Talk’s T-Mobile Network are below. Enter these values into the APN section of your phone’s Settings app. Note that field names will be different on iPhone, Android, and Windows phones. I don’t have the APN settings for Straight Talk’s Sprint Network. APN Settings will NOT fix problems making phone calls, sending text messages, get a 2G, 3G, 4G, or LTE connection. Which APN settings Should I Use? 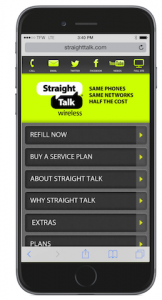 You can look up the APN settings for your Straight Talk account here: Looking up Your Straight Talk Wireless APN Settings. Note: This only seems to work for Straight Talk customers using the Straight Talk AT&T or T-Mobile network. If you are using Straight Talk’s Verizon network, try the APN settings above. On some smartphones, you may not be able to see the APN settings page in your phone’s settings app. For most phones using Straight Talk’s Verizon or Sprint Networks the APN page is hidden but the should be set automatically. For Straight Talk’s AT&T network, the APN settings on the iPhone are hidden. Some Android phones will not let you edit or delete your APN settings regardless of which network you are using. Hi i just left the comment on your YouTube video. I’ve had an iPhone 6S with Sprint for years. I just switched to Straight Talk. I am now getting the error that I am not subscribed to a Data carrier. I still have the SIM that came with the phone. Straight Talk says they have all my info activated correctly. When I go to my iPhone settings to view the APN profile, it is blank. I’ve tried numerous profiles from flex serve. Before I instal, it says something about the profile not being signed. I go ahead and install. But still no data unless I am on WiFi. Do you know where I need to troubleshoot to fix this? From what I read, I don’t need a new sim. Not sure where to go. The straight talk 6s only has 32g so I’d really like to keep mine with 64g. I am on my way out so check out these two things and let me know how it goes. You should not need to buy a new phone but it might take a lit bit to get it straightened out. I bought the $90 2-Line Unlimited plan online and received it via email delivery, so I have no idea what network they put me on. It still shows sprint. I do believe its unlocked, for one because its paid off and they ported my number from sprint, and 2 because after an attempt to erase and restore my phone to see if that got it working, I recall seeing something on itunes saying the phone is unlocked. I wish I could recall exactly. I did also try to do the network setting reset a few times before and after doing the full restore, just trying to see if it was possibly pending activation from porting service from sprint. I have reset network settings, reset factory settings, erased and restored. Let me try to ask straight talk if they can tell me what network they put me on, but in my experience, I just get transferred over and over with no answers. Just talked to Straigjt Talk and they said I am on the Sprint network and there is no way to change that if we can’t get this fixed. With unlocked iPhone 6s models from Sprint, your phones would work with another one of the Straight Talk networks. Assuming you had a choice between the AT&T, Verizon, Sprint or T-Mobile networks which would you choose? While the may tell you on the phone that it isn’t possible to switch networks, it is. Which network do you think works best in your area? Moving to their AT&T or T-Mobile is easiest, their Verizon network will be a little harder. It’s very rare for me to ever hear from someone using Straight Talk with the Sprint towers and it the past somewhat problematic. Please note that I do not work for Straight Talk, I try to help people out here on my site and youtube and occasionally write articles and make videos about the experience. Try dialing ##72786# on the phone and then restart it . That has solved the problem in the past for some of my readers. If you prefer to deal with Straight Talk customer service, you want to try and reach their executive resolution department. The last contact info I is in this article. I didn’t have data or internet connection when I changed phones a couple of weeks ago, so I looked at my APN settings and I just knew they didn’t look right so I sent a text to 611611 to get the right APNs and they sent me the same ones, so I changed the Name, APN, and Mmsc fields to what I thought I could remember was right on another phone and my data and internet is working fine now, no thanks to Straight talk customer service 611611, I had to figure it out on my own and that was after I called Straight talk tech support and they are the ones who told me to text APN to 611611. Having trouble figuring out which APN settings are correct for me phone. I have an iPhone 7 that WAS a Verizon phone, then I moved it to t-mobile and now to straight talk. Would you help me find the correct update to install? Which Straight Talk SIM are you using ATT, T-Mobile, or Verizon?
. It required me to put a title so I put Verizon, then saved, then slid to turn off mobile data for about 5 minutes and when I slid mobile data back on she was working. I’m glad it worked. I don’t know why they don’t publish the APN settings for the Verizon network on straighttalk.com. It maybe because in past all these devices that used the Verizon network automatically set the APN. This doesn’t seem to be the case anymorw. The phone support team appears to work from a support script and doesn’t vary from it. Enjoy your phone. The verizon settings worked for perfect for me! Thank you so much! I had already spent an hour or so on the phone with straighgttalk did 4 different troubleshoots and still had no luck but had to end the call for personal reasons. I had also tried 4 other website apn settings but nothing worked til i found this webpage & finally it was a success! Again THANK YOU SO MUCH! great, glad it helped you out! I bought a new LG Fiesta 2 and I am using my old SIM card from my previous straight talk, on Verizon network, phone that broke (had it for 4 months and it stopped working) and now picture messages will not send or receive on the new phone. 4G data does work and everything else seems to be working on the new phone. Just the issue with picture messaging. Do you have the full apn so I can create a new one? My phone wont let me edit the one that came on my new phone. My experience with bring your own phone may help alleviate someone else’s frustration with APN settings. I recently purchased a new, factory unlocked, Samsung Galaxy J2 Prime phone and when I inserted the SIM card (AT&T) from my old phone, a Blu Life X8, the Samsung automatically set up the tfdata profile. The Blu phone operated with the RESELLER profile. So I manually set up the RESELLER profile. However, the phone kept reverting back to the tfdata profile. Apparently the tfdata profile is still active and works. I called Straighttalk tech support and the person had me log on to the Internet – no problem there – and had me send a picture to myself using MMS. No problem there either. Since talking to Straighttalk, I’ve tested both the Internet and MMS numerous times and they seem to work just fine. So, I would say that if your phone won’t accept or work with the RESELLER profile, try the tfdata profile. thanks for the comment. Yes the old APN tfdata still works. And I have had the same issue with a BLU phone I have too. One thing I noticed on my phone is that I can edit the TFDATA APN and change the value to reseller and the other values too and they remain. I’m don’t think I’d recommend people change it if everything is working with tfdata. At one point though, maybe they will disable the older APN. The problem seems to be that for some reason the BLU phone is filtering the list of APNs being displayed. If you put an AT&T SIM in the phone, you’ll see a different list of APNs, including the reseller one you previously entered. The APN you created was saved but not displayed. I asked BLU about it once and they didn’t respond. Ah yes, lest we forget….sending and receiving pics? ABSO-DANG-LUTELY NOT !! An AT&T Galaxy S7 should also be compatible with the T-Mobile network. If the phone works at all with the SIM card in it then it doesn’t appear to be locked. The Straight Talk APN for the T-Mobile network is wap.tracfone. If your data is slow or not working, it could be that you are using your phone in an area with poor T-mobile coverage. If you know the AT&T network works well where you are, order a new Straight Talk AT&T SIM ($0.99) online. Contact support via online support after you get a the new SIM, tell them the T-mobile network doesn’t work in your area and you haven’t been able to use your phone for X number of days. Transfer the service to the new AT&T SIM and ask them to credit your account for the days you were without service. I don’t know if you or your son are making monthly payments on the phone, but consider an inexpensive Android phone (BLU, Moto G5) or even Straight Talk’s iPhone SE ($129) instead of renting. Also if you use a lot of data, consider buying a Samsung phone from Straight Talk to get unlimited data for $55 per month (ask them which network it will use it your area). Just curious, when you turn off Wi-Fi do you see a 2G, 3G, H, H+ or 4G LTE in your status bar? I curious if the issue is no T-Mobile coverage in your area. I just had to chime in on this no service issue, I recently signed onto TMobile with their $85 totally unlimited plan with hotspot and tethering, etc.. I was able to log onto the web the first night but it was constantly dropping, then the next day I couldn’t even get a signal to register any bars. This was how it was for the next 4 days, I cancelled my service. In 1 week I was only able to use 259mb of dats out of my 32Gb of guaranteed 4glte data. If you are setting up a BYOP through ST make sure you use the AT&T SIM. I did a BYOP on ST with a BLU STUDIO X6, I got both AT&T and TMobile SIMs and I didn’t even bother with TMobile, their service is a farse, it’s a sham, it doesn’t exist. That’s why they offer so much because you’ll never be able to use even a fraction of what you are paying for. AT&T Service was still much slower than the regular trscfone service that is running on Verizon, if you have an unlocked phone it will be GSM and not all unlocked phones can or will be able to get a 4g LTE signal, that was the case with my BLU which I promptly rrsold the day after I tried it out. You’re way better off just picking up an older used Verizon 4G lte phone, I’m selling a fee for $10 to $20 , I transferred my SIM and they worked without even setting new APN. Just a little bit slower than new Quad core phones but worked fine. I thought that unlocked was going to be the best way to go until I found out that you will never be on Verizons network if you’re working with a GSM provider, I would never give up my Verizon service though ST, I bought a ST phone and always have web at all times, day or night. I had my APN settings working perfectly, I had to factory reset my phone and I cant remember the settings I had, I have tried over 20 different setting types and nothing is working. It’s just sending pictures I’m having problems with, what am I doing wrong? It’s a Blu Vivo XL and it’s running on the AT&T Straight Talk. Yes, I’ve tried all that, I meant to put the only problem I’m having is that it isn’t sending pictures. I know it can take some wait time until it’s actually working, however, I’m still not having any results. can you send me a screenshot of your apn settings? it might need two. send them to bob at (the name of this website). Resetting the APN Settings to Default on Your Android Phone Network seetings reset in under Wireless & networks. I sent them to you, did you get them? So I gave it a few days and it’s still not letting me send out MMS messages. did you try my previous suggestions from 9/7? Yeah. I followed everything step by step. Yes!!! It worked. I just picked up a ZTE straight talk phone from Walmart for $30. I really like it but I had no G (data?). I used the settings above for Verizon network because that’s what I’ve heard we get around here if we are on Verizon. As soon as I set the last value 4G LTE showed up on my instantly – thank you so much! Great news Harb, glad it helped. I have been a straight talk customer for quite some time (5 years). I have the Verizon Samsung Galaxy S4. Used the BYOP packet. Had the phone for a little over 2 years. Apn settings up to date and everything. However my data is super slow. Before throttle I have 5mb/s (that’s not the issue) but after throttle I only have 8 kb/s (that’s the issue). This is way below the advertised 64kb/s after throttle. Dial up is faster then my phone. How do I fix this. It has beem slowly driving mad. I agree with you that throttled Straight Talk performance. Sometimes I think the problem with their throttled service isn’t the speed by the latency. My galaxy s4 can tell me the current download/upload speed of my data. It generally stays around 8kb/s when throttled. I have no issue with them throttling it. However you are supposed to be throttled to 64kb/s and I have never gotten that. I can work with 64kb/s but 8kb/s is ridiculous. As for verizon, honestly I hate verizon with a passion. But that is where my phone is originally through and if I put an AT&T card in it I only get 256kb/s before throttling and no data at all afterwards. not TRACFONE.VZENTP that is shown here. Thanks for pointing out the typo. I corrected it. my huawei h8921 smartphone will not connect to data when i connect to wifi its fine but no data. it dosnt even show the icon though every so offten (like a week or so) it will turn on for about 3 mins and then nothing. Are you saying you never see a 4G LTE indicator in the status bar? Does data ever work? Did you set up the APN? Tested as of 08/21/2016 on an iPhone 6s. Hope it helps! My APM settings will not upload from the iapnupdatevzw.straighttalk.com web site. Iphone 5 (verizon) keeps blocking this. Happened once before last year, when Straighttalk tried to upgrade the APN. 1) Backup photos and contacts and applications. You will not do a restore, but will instead set up a new phone. and then reinstall everything. 2) Pull your STRAIGHT TALK 4G chip out of your Iphone 5 (verizon) and put the Verizon chip back in. 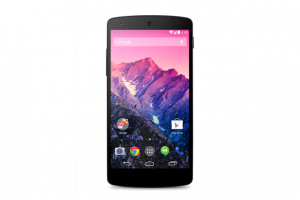 4) switch to your actual Straight Talk 4G chip for verizon (CDMA). Your data should be working. 5) Start reinstalling all the applications. Again DO NOT RESTORE or your APN will be over written with the old APN that can not be written over. Its all a PITA but this will work. Straight Talk will be clueless about getting this to work. try ivzwentp.tracfone.com, see if that works. Seems to be a newer one. I’ve contacted straight talk and dealt with supervisors up to corporate with my issue. I have the iPhone 5s and for some reason my cellular data will not update. One of the reps sent me a link through text and when I went to it, it did change my profile. BUT, it connected me to a cellular profile that expired November 19, 2014!! It says “not verified” under “signed by”. It’s supposed to be on the “tfdata” cite/profile thing… but I can’t find a recent website that gives me the link to install. I’m not good with technology, but I do know that my phone is not acting right and that there HAS to be a more recent link to a profile that isn’t almost 2 years expired. Please, please respond to me ASAP. This is my only means of communication and I’m a stay at home mom of 5. My phone is a necessity!! The fact the signing profile is expired has no effect on whether or not the profile works. It’s just telling you that its not secure, which in this case is not an issue. Your APN probably isn’t tfdata, but reseller. 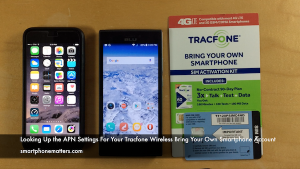 You should follow this article Setting up Straight Talk Wireless APN for Cellular Data, Internet, MMS Picture Messages on Your iPhone Using iOS 8. Delete the profile and reset your network settings and your data should work. Read that article to learn how to do that.